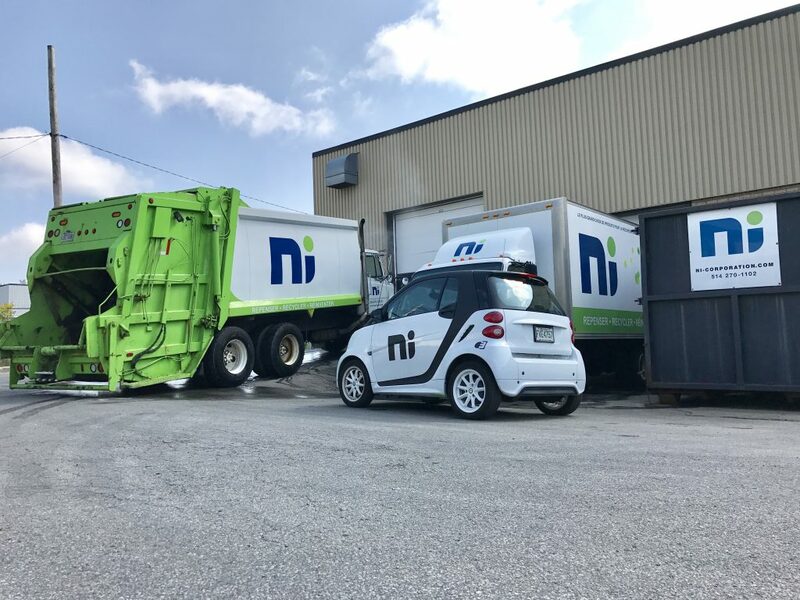 Founded in 1993, NI Corporation Holdings is now the parent company of a chain of subsidiaries through which it offers a comprehensive range of waste management services. Having built its expertise over 25 years with a diverse clientele in a variety of fields and settings, the company is able to offer services that are both diversified and flexible. For instance, NI Products Inc. rents containers for waste segregation at events as well as specific containers for temporary storage needs. To provide the best possible support for your events, NI Récupération Inc. can collect waste generated there. Consider having your organic waste collected by us! Our team of experts can also assist you in planning and preparing for environmentally responsible events. Building on its extensive experience working with government agencies and large companies, this year NI Corporation’s Consulting Services division merged with Chamard Environmental Strategies to offer a broader range of expertise and services. Our affiliate Chamard Environmental Strategies offers a full range of waste management consulting services for industrial, commercial and institutional organizations (ICI) as well as municipalities. — GPS-trackable inventories of outdoor containers. For more information about our services, click on the tab for each service, or contact us today.